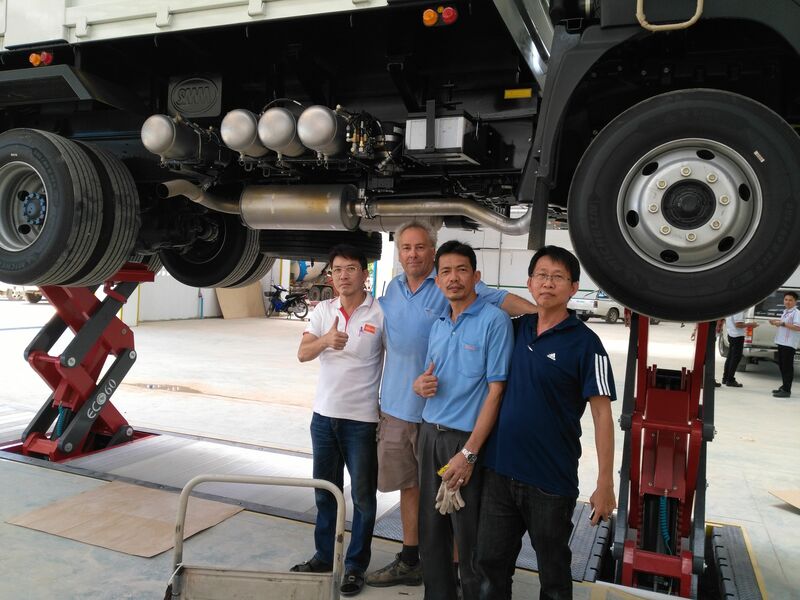 Banzai, our Exclusive Distributor in Thailand, has recently installed two in-ground scissor lifts, ECOLIFT at ISUZU. ISUZU are getting ready for the opening of their new truck workshop in Chiang Rai, Thailand in August 2017.This workshop has four pits, two with the Stertil-Koni in-ground shallow-pit two scissor ECOLIFT 60 and pit jacks specifically for doing oil changes. The most important reason for ISUZU for choosing our in-ground is the easy installation; fully installed in only 2 days! This is due to the much shallower pit requirement with half of the lifting height, and an installation depth of just 87 cm . So, very cost-effective installations with no high construction costs upfront.The ECOLIFT is not only easy to install, it is also simple to operate. It can be utilised for a wide range of trucks and has a high return on investment due to long-life span and high quality performance of this lift. ISUZU are active for more than 80 years in the truck manufacturing business. They are Japan's leading truck manufacturer and have a prominent presence in the Asian market. If you would like more information on the products mentioned in this article or any other products in the Stertil-Koni product range, please do not hesitate to contact us today. For contact in Asia, please send an email or give Andrew Zhang, Area Sales Manager, Asia a call. Shallow pit construction of the ECOLIFT is only 87 cm deep. Flush with the floor and completely covered.